Dr Reddy Laboratories will likely to sell its active pharmaceutical ingredient (API) business unit in Hyderabad to Therapiva Pvt. Ltd, a generics pharmaceutical company. 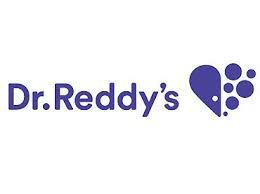 Dr Reddy has already entered into a definitive agreement for the sale of its API manufacturing business unit in Jeedimetla, Hyderabad, to Therapiva. It is to be noted that, Therapiva is a joint venture between Omnicare Drugs India, a subsidiary owned by Neopharma LLC, Abu Dhabi and Laxai Life Sciences. All the fixed assets (land and building), current assets, current liabilities, and the employees are all included in this sale. “The divestiture of our API manufacturing business unit is a step towards streamlining our manufacturing operations and optimising our cost structures,” said Sanjay Sharma, utive Vice President & Head, Global Manufacturing Operations, Dr Reddy’s Laboratories. “This acquisition which will augment Neopharma’s vertical integration advantage and provide us with a high-quality manufacturing base in India. This is a key milestone in our acquisition strategy over the next few years to increase Neopharma’s presence in the global generics space” said BR Shetty, Chairman of Neopharma LLC, Abu Dhabi.